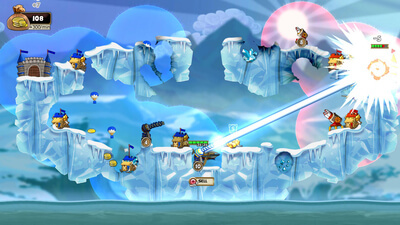 Pilot an airship, command powerful weapon emplacements like cannons, giant flamethrowers, and high-powered lasers. 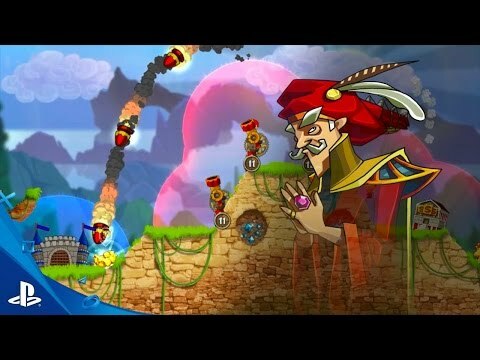 Destroy the very earth from under your enemies’ feet! 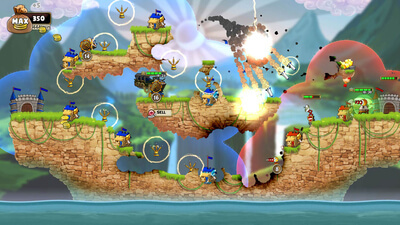 Cannon Brawl is an exciting mix of real time strategy and artillery gameplay. Your ability to manage combat priorities and focus through the madness of battle will be put to the test. And most importantly for all you trophy hunters out there, this one includes a full trophy count with a Platinum trophy! You will need to play the game at least twice – once in normal mode and once in Nightmare mode – to have a chance. I’ve been at it for a long time both while writing my Cannon Brawl review and after that, so you definitely have a challenge ahead of you! I had a lot of fun writing my Cannon Brawl review. I had heard that the game was very addictive and highly entertaining, but I never expected it would grab my attention so much. I’ll be going back to the game as I aim to someday have that Platinum trophy in my collection. This will be my “go-to” game to have some extra fun between reviews.